In order to be considered for this award, the dog must be owned by an FBDCA member(s) in good standing. 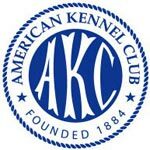 There are two agility awards, presented to the top French Bulldog competing at the Masters’ level of AKC agility competition; one for the Regular division, and another for the Preferred division. The qualifying period is July 1 – June 30 of the preceding year. The winners will be determined by the AKC Agility Invitational Formula, which is used by all breeds to determine the top dogs ranked in Agility events and is based on the Top MACH/PACH Dog formula (Double Q’s x 10) + MACH/PACH (Master/Preferred Agility Championship) points that dogs have earned during the qualifying period. The award must be formally applied for, but no additional data or reporting is required. 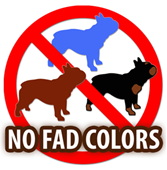 FBDCA will obtain Top Dog reports for French Bulldogs directly from AKC to verify the winner. If you wish to apply for this yearly award, please click here to download the form (doc file format), fill it out and e-mail it to the FBDCA Honors and Awards Committee chair, Allen Weinberg, at a.g.weinberg[at]gmail[dot]com before the annual deadline, which is July 31, for this year's Awards Banquet.